Mummy's Treasure is rated 4.5 out of 5 by 12. Rated 5 out of 5 by jan2fish from Brain Game Enjoy playing games that require one uses his/her brain for a change! Rated 5 out of 5 by abdulwahabmalik from Very Interesting Game. This is really very interesting game i played ever. I enjoyed this game with my family after playing "Professor Heinz Wolff's Gravity" . Rated 5 out of 5 by ffuryy50 from Great puzzle game! 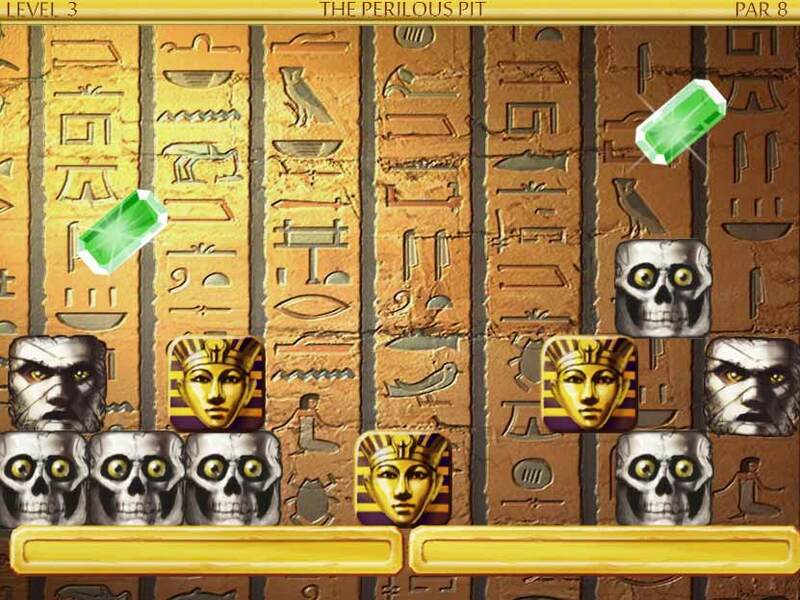 Wayyyyyy different from the norm.... Once you get the hang of how to solve the puzzles, you can usually get them figured out (after a few tries usually ;)... Basically, you have to figure out how to get rid of the skeleton and mummy heads without losing the gold objects... As someone else said earlier, on most of the puzzles, timing is everything! The order in which you click the objects and your timing can make all the difference in whether or not you succeed. It starts out quite easy, but gets more challenging as you go along.... And it keeps you trying! Don't worry if you fail a first, second, or third time.... keep trying and you'll figure it out... ;) Have fun! 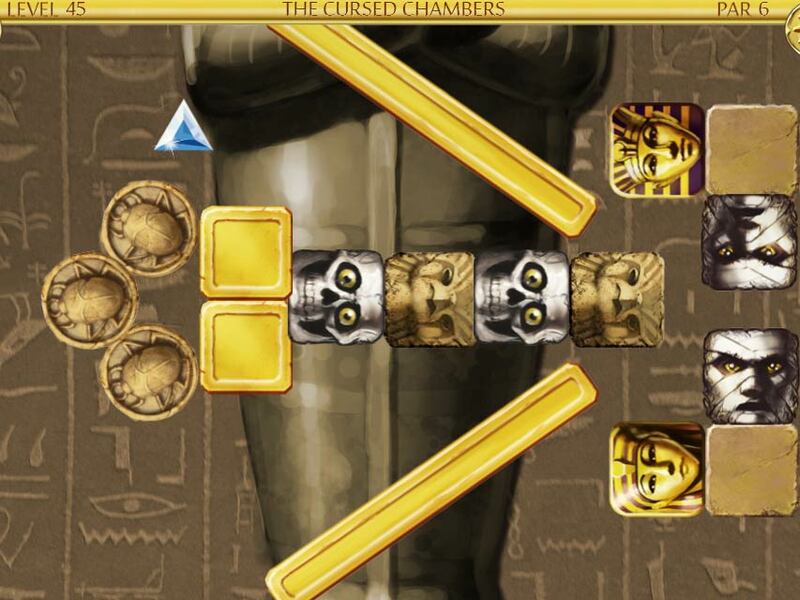 Rated 5 out of 5 by sueandjack from Mummy your the man, Great game - very different. Timing and luck and speed all combine to give you a great game. Rated 5 out of 5 by KimiKanda from Fun, fun, fun . . . love this game. It was a little crazy in the beginning (first play) but I started to get better as I went along. I am enjoying it as each level is more complex. The fun is trying to figure out how to keep what is necessary and get rid of the skeletons and mean heads. It's fun, fun in the sun, sun . I enjoy puzzles (logic, cryptograms, etc.) so, I love a challenge, "I like!". My only concern? Is it replayable, or repeatable? Have to go and check it out! Well, I'm back it has alot of levels like 50 something . . . . . . . .Yes! Rated 5 out of 5 by spiritlaughing from Very interesting and challenging! Totally perplexing at times, but I love that! It challenges me enough that I want to go back and do each one at least to par. It will keep your interest if you like challenges. Very well done, the graphics are great and there are plenty of levels. 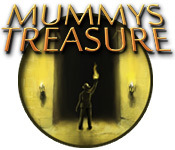 Rated 5 out of 5 by _HKG from Fun, Hard and Amusing Mummy's Treasure is challenging, visually amusing, and really different from any other game I've seen. I love the art, especially the facial expressions of the young couple. While hand-eye coordination is important in this game, logic is even more so. You need to have observed how gravity and other physics of motion works to succeed at this game. Rated 5 out of 5 by themare from Timing, Timing, Timing! In this game, timing is everything. There are 60 levels, and they get harder each time. The object is to knock the mummy heads off and keep the pharoah or gold coins. It's harder than it sounds. The only part I did not like were the moving parts because my computer tended to dance around on the screen, so it was hard to keep the game steady. I finished all 60 levels in a few days. Rated 4 out of 5 by arnold1049 from ENGINEERS NEEDED This game requires a very good knowledge of how leverage, weight distribution, trajectories, magnetism, and all kinds of other forces can be used to move objects. And if that isn't enough, you need to be a fast-as-a-speeding-bullet clicker. I'm not too bad at the former, but cannot match the needed clicking speed. To compensate for people like me, the game allows you to skip levels easily. Each level of the game contains a screen full of an assortment of blocks and beams. 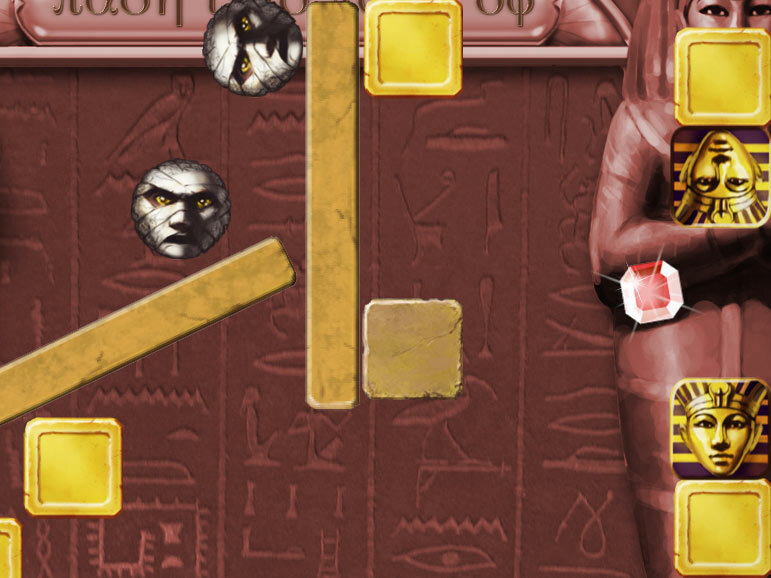 The golden blocks must stay on the board while you eliminate all the mummies and ghosts. Other blocks can be used in combination moves and can either stay or leave the board. And while you are moving all these objects, you have to catch flying gems before they go off the board. As do most games, the levels start out fairly easy, but that doesn't last long. Moving bars are added, swinging blocks, and boards that are wider or longer than fits on your screen, requiring you to scroll right/left or up/down to make your plays. You earn scores for each level based on several actions. One is a par system, like golf, where there is a standard number of moves set for each level and you are scored as under, equal or over par. Points are also earned by catching the flying gems and how fast you finish the level. If you make a mistake and the level closes, you can replay it or skip it. If you finish the level and don't like your score, you can also replay it. The levels are shown on a screen that shows an underground mine. The levels are "signs" going down the path further into the mine. The path zig zags to accommodate about 20 levels for each screen. You cannot go to the next level without finishing or skipping the previous level. In reading the achievements, I think the game has lots of, maybe hundreds, of levels to play. I got through about 25 in the hour I played. The signs on the mine path start out white and turn gold if you meet or are below par and show a bunch of rubble around the bottom of the sign if you get the gems. Lots of achievements are available to meet, some of them very creative. And, of course, many are based on time of completion. For me, any game that is timed is very difficult, and reduces my enjoyment of the game. With all the things going on at any given level, you must be able to think and act fast. Some levels are static to begin with and allow you time to look and strategize. Others are in motion as soon as they open, giving you no time to plan your moves. This game is definitely a brain teaser and the added time, par and gem requirements complicates the play. However, because of the clicking speed required, it is not a game for me. Rated 4 out of 5 by metuttle from Good game but . . . This was a fun game concept and very interesting play with some solutions quite demanding, but it was short. I had played through 1/2 the game in the first 1 hour free play, was a bit disappointed when the game came to a close at lvl 60, although the last 5 lvls were almost impossible to solve; still haven't figured out one of them. Give us 3 times as many lvls to solve and it would be a great game.